There hasn’t been a better time to upgrade to a new Volkswagen at Brady’s of Arva. With 0% PCP, up to €2,500 purchase contribution and technology pack upgrades on their car range. 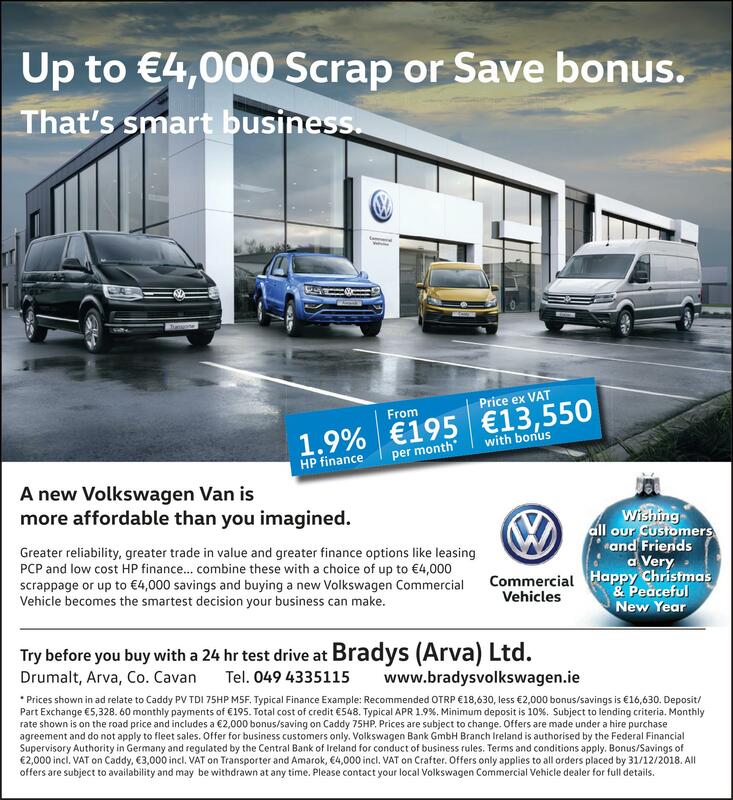 And with up to €4,000 scrap and save bonus on commercial range + HP finance at 1.9% APR and fantastic leasing options.